Colonna, an investment company specializing in commercial real estate, acquired four new office buildings in 2018, thus growing its portfolio to 95 commercial building, informed LETA/BNS. Colonna's investors made two purchase transactions in Tallinn in April 2018. The first of the transactions was an office building located at 22 Meistri Street in the Haabersti district. Built in 2011, the building has 5,500 square meters of office space and Colonna has renovated most of the building's interior by now. The second transaction involved an office building on P. Pinna Street in Lasnamae that serves as home to the police station of the eastern part of Harju County. The building completed in 2004 has 4,743 square meters of floor area and a contract was entered into with the Police and Border Guard in 2003 for the renting of the premises, Colonna said. Two new commercial buildings were added to Colonna's portfolio at the end of the year. The 8 Valdemara Street office building is located in the historical city center of Riga and is known as the head office of the former Parex Bank. The renovated building has a total of 3,900 square meters of rentable area. The newest addition in Colonna's portfolio of office premises is the office building located at 4 Lokke Street in central Tallinn, the main tenants of which are the State Shared Service Center and the Personnel Support Services Center of the Estonian defense forces. The building at 4 Lokke Street has over 4,000 square meters of rental space and the building went through a full update in 2018. "The year 2018 was slightly calmer compared with the previous year in terms of transactions, but out interest in investing in commercial real estate is still high. In 2019, the commercial building portfolio of Colonna will definitely grow further, the greatest challenge in our field is finding office buildings in active business districts that produce a running cash flow. Our keenest eye is on the commercial real estate markets of Tallinn, Riga and Vilnius," Margus Kluge, COO of Colonna, said. Founded in 2006, Colonna investment company is one of the largest investors in commercial real estate in Estonia and the Baltic states. 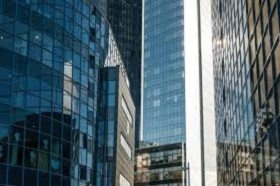 Colonna primarily brokers the investments of international professional investors in real estate projects located in the Baltic states and manages the commercial operation of the purchased properties. Over 300 mln euros have been invested in the Baltic real estate market through Colonna Group. The company's portfolio comprises 95 commercial buildings with more than 270,000 square meters of rentable space and over 800 tenants in Estonia and Latvia.